Polaris Industries of Medina, Minn., is recalling about 16,800 RZR 170 recreational off-highway vehicles (ROVs). The company has received 102 reports of cracked fuel tank necks and 28 reports of burning, smoking, melted and/or shorted wires, including four reports of fires. No injuries have been reported. This recall involves all model year 2015 through 2017 youth RZR 170 ROVs. The recalled ROVs have two seats and were sold in red, blue and white. 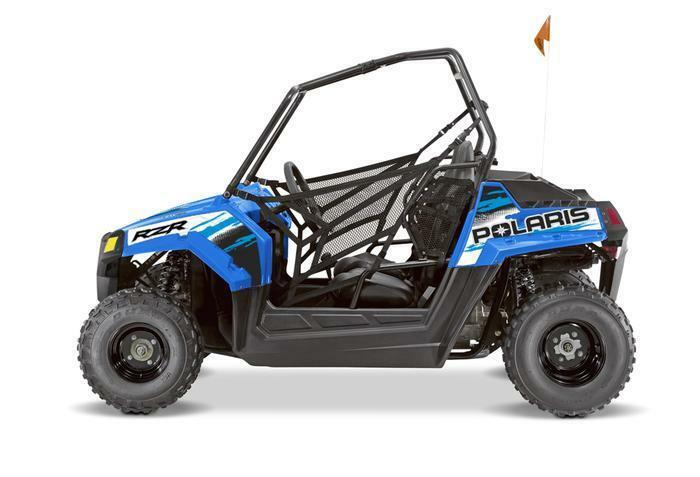 For model year 2015 ROVs, “Polaris” is printed on the front grill, “RZR” is printed on the rear panel, and “170” is printed on the front panel. For model year 2016 and 2017 ROVs, “Polaris” is printed on the front grill and on the rear panel, and “RZR” is printed on the front panel. The VIN is printed on the frame on the driver’s side front wheel well. The ROVs, manufactured in Taiwan, were sold at Polaris dealers nationwide from February 2015 through July 2017 for between $4,600 and $4,800. Consumers may contact Polaris at 800-765-2747 from 7 a.m. through 7 p.m. (CT) Monday through Friday, or online at www.polaris.com and click on “Off Road Safety Recalls” for more information.